Police Vs Crime Mountain Chase - The cops are no push-overs, be prepared! One of the biggest additions are the police, so watch out who you shoot, where you shoot someone, steal the wrong car or whatever crime you could think off. The cops are no push-overs, be prepared! The drug-related crimes are going through the roof in Mountain, you are a part of this right now! ▶ Unlimited missions in our simulator! ▶ Lot’s of department cars to unlock! ▶ Arrest all the dangerous criminals in Mountain! ▶ Don’t forget to rate us or give us feedback! 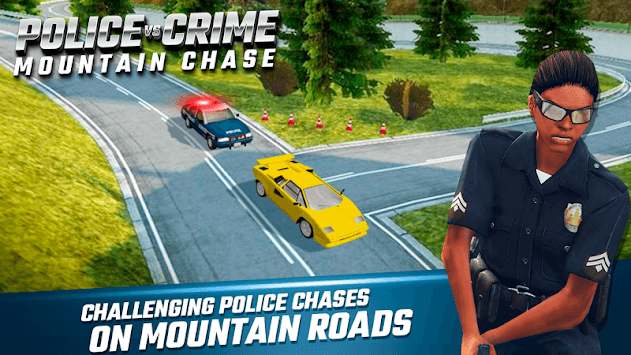 Police Vs Crime Mountain Chase contains awesome 20 missions. Choose your very own police vehicle from a wide selection of city cars, offroad 4x4 trucks, and fast police car interceptors. Intuitive mission layout to other open world driving games: Locate one of the 20 spots to launch a mission and drive on the marker to begin. Use the helpful mini map to know where the missions spots are. Explore a huge open world filled with winding roads and bustling city life. Drive over cascade and by dam, hidden away ancient temple, a small airport, different houses and farms, ruins, a camping place, and more in one of the best police car driving simulator game! Take to the road and drive a wide range of tracks, from 2x2 lanes to very small road of mountains, with hill climb. Work your way through the massive amount of missions in this newest action crime packed game. As you are earning money during your cop duty, you are able to buy the best weapons available. Be the protector that this city needs, make sure the criminal threat does not outrun you. Go beyond the call of duty and protect the innocence on the street. Put on your badge and start the engine. You have a reputation to maintain, and a city to save! Lawful citizens and peaceful pedestrians are awaiting your rescue! Root out the thugs and gangsters with your detective skills. Crash and smash their escape vehicles with your driving skills! Chase and hunt down the thieves with your complimentary stash of police weapons. Utilize your arsenal of guns to scare evil forces back into jail. Run through the alleys and streets of an exciting urban environment. Emerge as the hero! Criminals are running in extreme modified sports cars police has the extra modified cars for chasing the criminal who are running through the braking prison. Cops are running behind the criminals go and run faster to smash them you have an option to smash and destroy their cars and crashing them attest them. Criminals run towards the city from by passing from the mountains if they will success in running they will make the mayhem in the city stop them use your extra trained driving skills they will also attack you try to be safe from their attack because if they succeed in the attack you can lose your life and the game will fail. By the completion of the levels you can unlock the other upgraded cars which will help you to boost the speed and from those cars, you can easily chase them and send them to the jail once again. 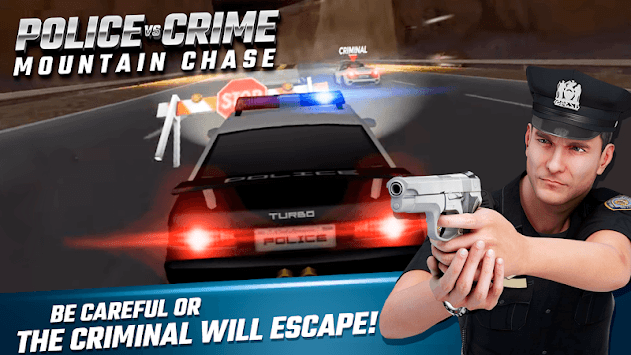 In this police vs criminal game, you will see the two different modes the first time in the gaming history. 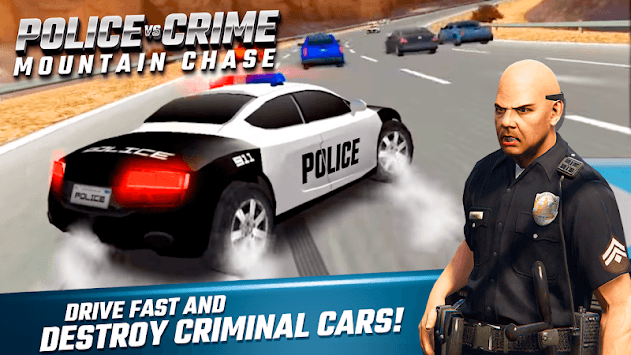 This game is designed on a new concept, one mode of this game is chase the criminal car and attest him and in the second mode destroy his car by smashing with your car at a very high speed and also avoid the attacks of the criminals the second mode is designed in the city you will enjoy it and help us to make this a top game.